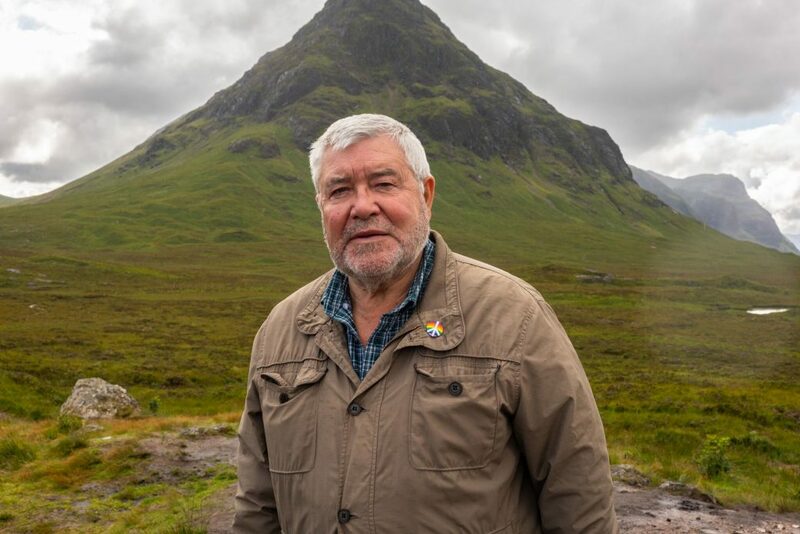 Scottish Left Review interviews Bob Thomson as he steps down at the age of 75 from the leading role he has played for the magazine for the last 18 years. Bob retired in 1999 as Associate Scottish Secretary of UNISON and since then he has taken on an almost full-time and never paid role as company secretary of Left Review Scotland (the company that owns the magazine and Jimmy Reid Foundation), chair of the magazine’s editorial board, chair of the Foundation’s project board and general organiser. He’s now due a proper retirement. You’re from a large family (eight brothers and three sisters) from Wishaw. It seems you have been the most politically progressive and politically active of all the children in your family. What would you put that down to? My parents, especially my dad were quite political; he was an Independent Labour Party supporter. My three brothers in Canada vote for the left party, the New Democratic Party. My mother as well as raising a large family looked after neighbours and had a strong sense of community. I often did without but saw worse poverty and inequality around me. It has been my anger and determination to do something about this which has driven my political beliefs. You became politically active as a young man, joining a union at the age of sixteen and the Labour Party at twenty. You have held many senior positions in both unions (NUPE, UNISON) and the Scottish Labour Party. How would you say your politics have changed and developed over the years? I am a socialist by upbringing and life experience. A friend said to me recently: ‘Bob as you get older you are supposed to mellow and become more moderate but you are more left wing’. I told him he was wrong because as a young man I was on the left of the Labour Party and that is where I remain. It is the political centre that has moved to the right! Tell us how you came to know of and work with Jimmy Reid in terms of the setting up of Scottish Left Review. In the 1970s, we were both regularly travelling to and from London and shared our thoughts and a bottle on the long train journeys. He was in the Communist Party and I in the Labour Party. The need for a forum for more unity within the left was regularly discussed and this became more urgent with the rise of ‘new’ Labour. As the remaining founding member of the editorial committee of Scottish Left Review, can you tell us what the intention was behind launching the magazine? It was a vehicle to counter the neo-liberal philosophy and policies of Tony Blair and ‘new’ Labour which many on the left had swallowed after eighteen years of Tory governments. Jimmy Reid was early in exposing this in his Herald columns, famously stating: ‘People say that Tony Blair has no principles. They are wrong. He has principles. They are Tory principles. He is in the wrong party.’ As Treasurer of the Scottish Labour Party, I had personally experienced Blair’s duplicity and contempt for democratic decision making in his interference in the questions on the referendum to establish the Scottish Parliament. 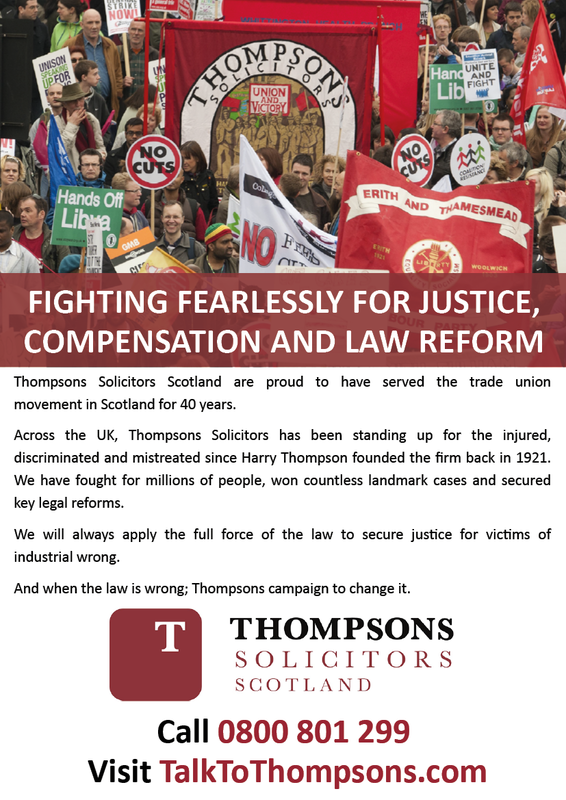 Jimmy gathered together an eclectic group of activists and thinkers to start the magazine including Aamer Anwar, Campbell Christie, Roseanna Cunningham, John Kay, Cathie Jamieson, Isabel Lindsay, John McAllion, Henry McCubbin, Tom Nairn, Andrew Noble, Alex Smith and myself. In the light of this, what has Scottish Left Review achieved since 2000? As part of a then small group of often distinguished voices from many parties and none who argued the case against neo-liberalism and for progressive policies for Scotland and Britain, I think we are now a majority, at least in Scotland. Scottish Left Review is now the main forum for left politics with an online traffic of over 1500 visits per day. 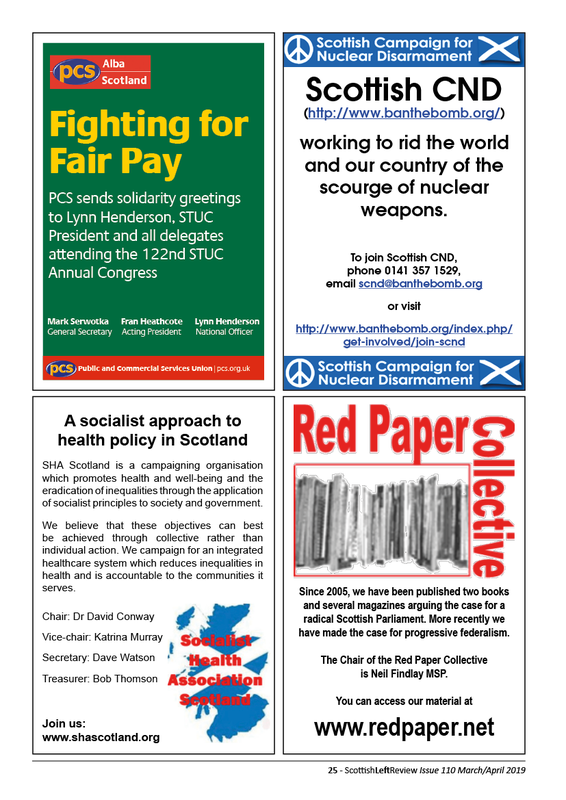 We set up the Scottish Left Review Press which has published occasional books on the political and economic situation. And, we established the Jimmy Reid Foundation, the only left think tank in Scotland. In the light of this, what has Scottish Left Review not achieved? In the big picture while we have been a forum for all left parties and individuals there has not been any great success on creating joint co-operation in campaigns and policies with left parties and groups. Our print subscribers have not increased significantly. With printing and postage costs rising, publishing a print issue could be in danger of not continuing in the not too distant future, something the Editorial Board has so far resisted. 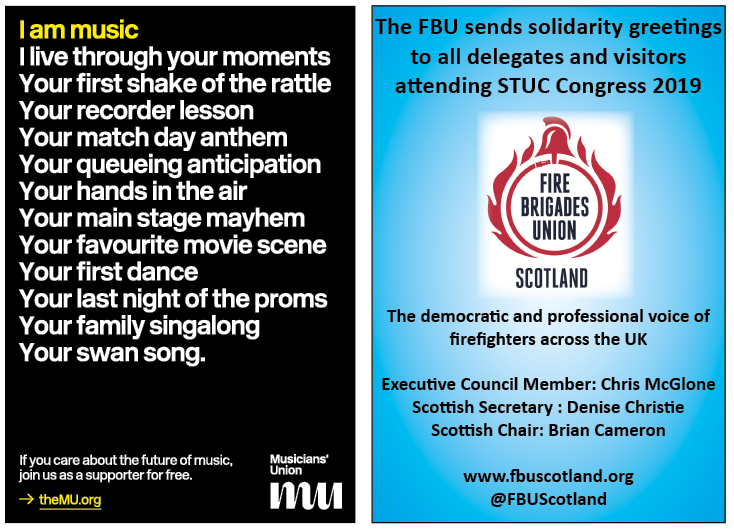 However, there has been an increase lately of union branches taking out subscriptions so we hope to avoid that situation. How has Scottish Left Review managed to sustain itself over the years while other magazines have foundered? Primarily by the work of volunteers (who have carried out the organisational and administrative tasks), our Editorial Board and, importantly, our contributors who have given their time freely. We have never had the resources to employ anyone full time. Special thanks to past editors, Jimmy Reid and Robin McAlpine, and to current editor, Gregor Gall. 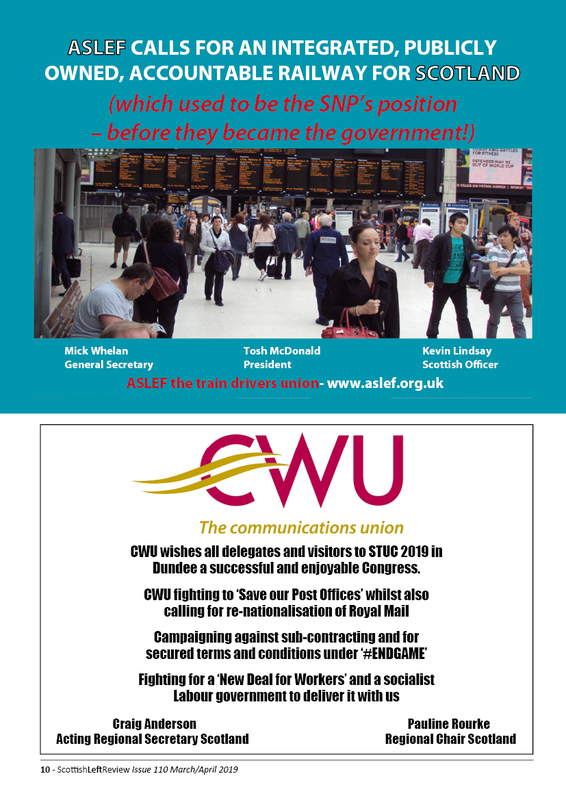 And, of course, also to our loyal band of print subscribers and the labour and trade union movement for their adverts. What has Scottish Left Review still to achieve? 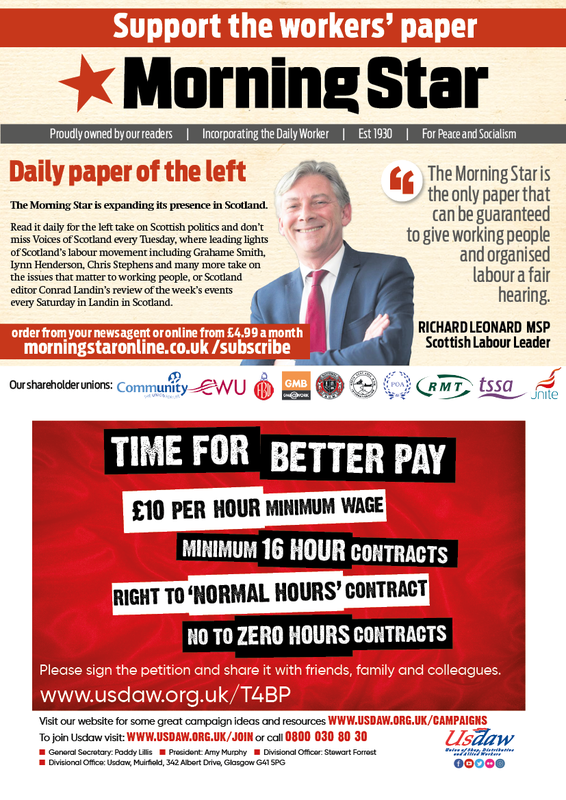 What motivates you to do day-in-day-out all the tiny little tasks that are required to run a tight ship when it comes to the Left Review Scotland, the magazine and foundation? Presumably, it is more than the fact that you didn’t intend to spend your retirement in the garden potting shed, fishing or playing bowls. I regret not reading and walking as much as I would have liked. However, the political situation in Britain has worsened, mass killings and poverty are rampant in all continents, my anger and motivation to do what little I can to reverse these remains. The magazine runs on voluntary labour. You have put in so much of your own time but you have also recruited many others to its fold over the years. How have you managed to do that? As a union lay member and official and Labour activists, I have met a lot of like-minded comrades, some of whom shared my interest in the need for a forum for left discussion while readers agreeing with our ethos have also volunteered. Scottish Left Review draws its audience and support from across the political left. One of its greatest challenges has been to span the divide of Labour-SNP and pro- and anti-independence supporters. How would say it has coped with that challenge and do you think it has been able to mould a common left perspective for Scotland? The sad reality is that Labour and the SNP are both generally on the left in their social and economic policies but hate each other more than they hate the Tories because of the national issue. I believe this helped the Tories going from one to thirteen MPs at the 2017 General Election. The Review has tried to steer both parties on socially progressive issues with limited success. As is in your helpful and committed nature, you have agreed to be the vice-chair of the editorial board for the next year to help manage the changeover given that Pat Kelly is the new chair of the editorial board. What do you see your main tasks as being in this remaining year? Our website is eighteen years old and, like me, creaking. We hope to have a new website that is more navigable and easier to view on hand held devices by the autumn. 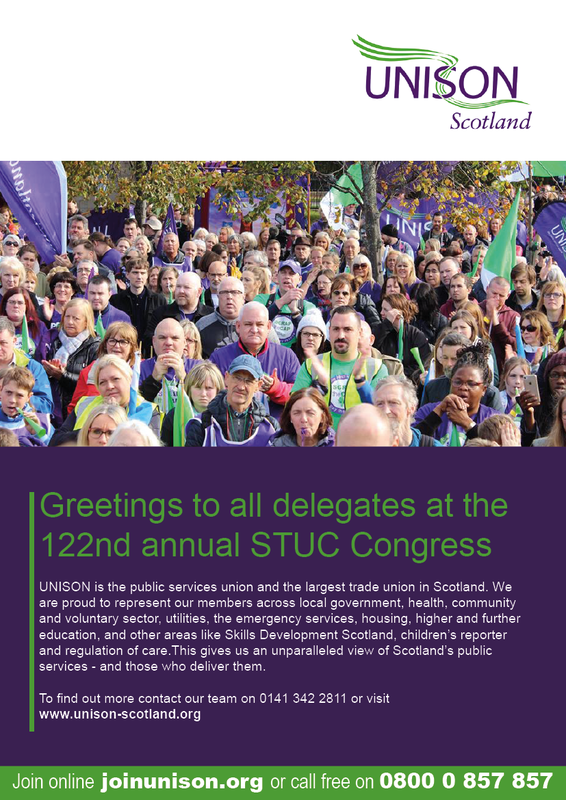 We need a dedicated administrative capacity and to fully utilise our new office in, Glasgow kindly provided by UNISON. 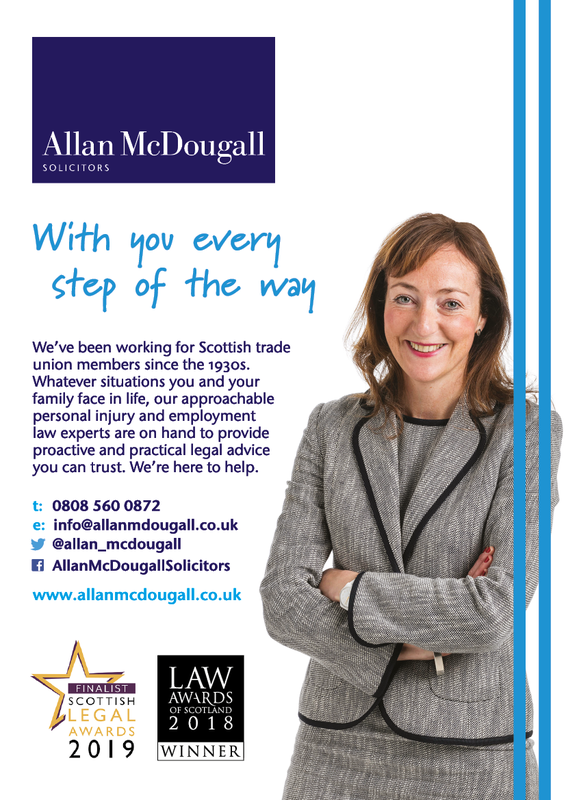 We hope to convert our limited company into a Scottish Charitable Incorporated Organisation (SCIO). And, lastly, there is always the need to increase our paying readers – the subscribers. You were also a key figure in the Scottish Left Review setting up the Jimmy Reid Foundation in 2011. How do you think the Foundation has fared and what should its goals and ambition be? We have made steady progress since establishment in 2012 and have produced many radical policy papers and most of the major trade unions are now affiliates. A number of unions have commissioned research projects from the Foundation, something we hope to increase. Our intention is to be the leading left think tank in Scotland. As an out gay man since the 1970s, how has society in Scotland become less homophobic and what still remains to be achieved? The speed of transformation has surprised and delighted me. There is now much more understanding and acceptance amongst all age groups especially in the young. There is the need to campaign against all forms of discrimination as they all have the same origins. On your jacket, you’ll always find a badge. It’s either from CND, the Spanish civil war international brigade memorial foundation, gay pride or the Labour Party. Which have been the most important political causes to you in your lifetime and why? They are all important and have shaped my political drive, the need to create a better society. • On behalf of Scottish Left Review and all its readers, subscribers and supporters, we wish Bob Thomson an enjoyable and fruitful retirement. 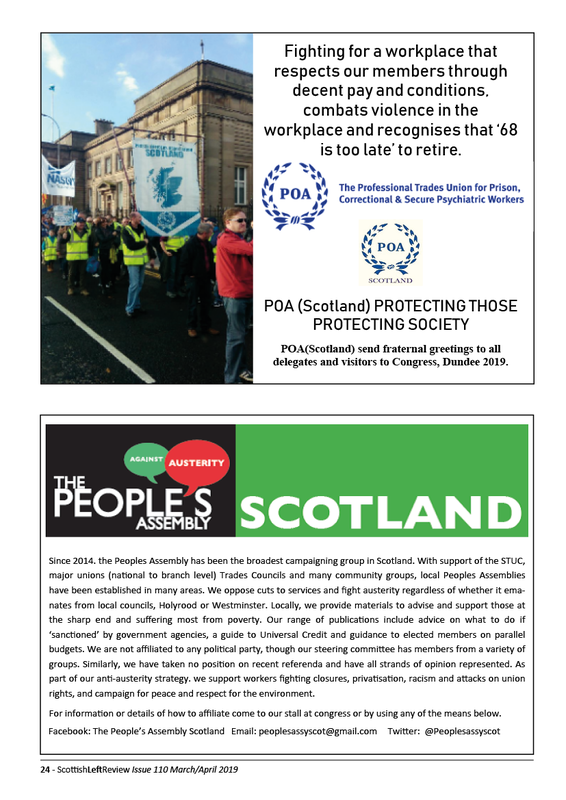 A past STUC president and former PCS Scottish secretary, Pat was elected in August 2018 to succeed Bob Thomson as chair of the editorial board of the magazine. Pat has been the vice-chair for two years and on the editorial board for four years. He was a Labour Party member for over 30 years (until 2015) and on the executive of the Campaign for a Scottish Parliament as well as serving on the Claim of Right Committee that established the Scottish Constitutional Convention. His book, Scotland’s Radical Exports, a history of Scottish contributions to the unions and political parties in the Scottish diaspora, was shortlisted for the Saltire Society’s History book of the year in 2012.